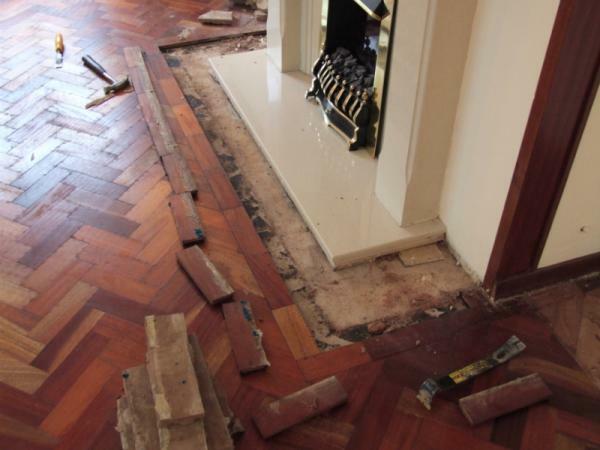 At The Sanding man, our staff are also professional floor fitters, therefore we are able to carry out repairs to an exceptionally high standard. Fixing down of loose herringbone blocks. Gap filling - Typically small gaps can be filled with sanding dust mixed with resin. For larger gaps in floorboards it is possible to fill the gaps with slivers of wood which are then sanded level. Replacement blocks ie where a hearth has been filled in.